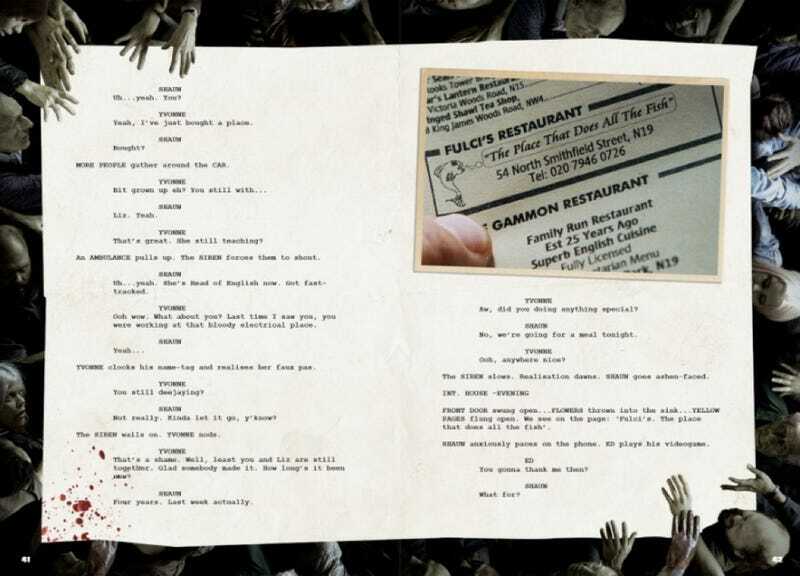 In celebration of the end of the C0rnetto Trilogy (the collaboration between Simon Pegg, Nick Frost and director Edgar Wright),Focus Features has released a fully interactive screenplay from the movie that started it all, Shaun of the Dead. Behold the beginning of "you've got red on you." The whole screenplay has been laced with images, notes and scribbles from the director and actors, interesting stories and links to original storyboards. We adore the insight behind the creation of one of the (hands down) best zombie movies of all time. Especially "the siege" chart which shows all the chaos happening. Read the entire screenplay over at Focus Features (which also allows you to download the whole thing as well). The final Cornetto Trilogy film is The World's End, in theaters now.